Deck the Hall with this beautiful pattern celebrating the Holiday season . 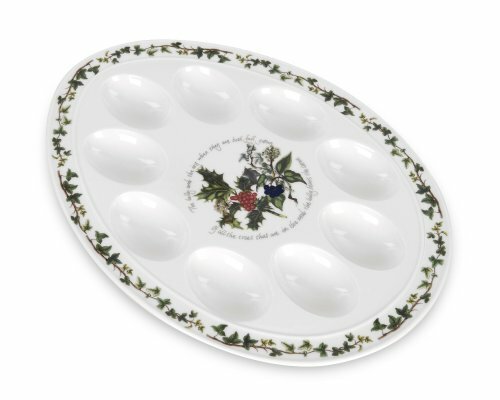 Taken from the song of the same name, this rich addition to the Portmeirion classic patterns was created by Artist Anwyl Cooper Willis Holly and Ivy brings the holiday season to your home and is sure to become an important tradition for you holiday table..
Guarnateed against manufacturer defects. Contact Portmeirion at 1 888 778-1471 for details. Oven safe to 340 degrees. Never put empty dish into oven or microwave.